At RŌNIN, we are always focused on the seasons. Our chefs go to the market every morning and take pride in preparing each dish using fresh, seasonal ingredients. As a result, our à la carte and tasting menus change frequently in order to showcase these items. And now that spring is starting to arrive, the selection of fish, meat, and produce is as exciting as ever. 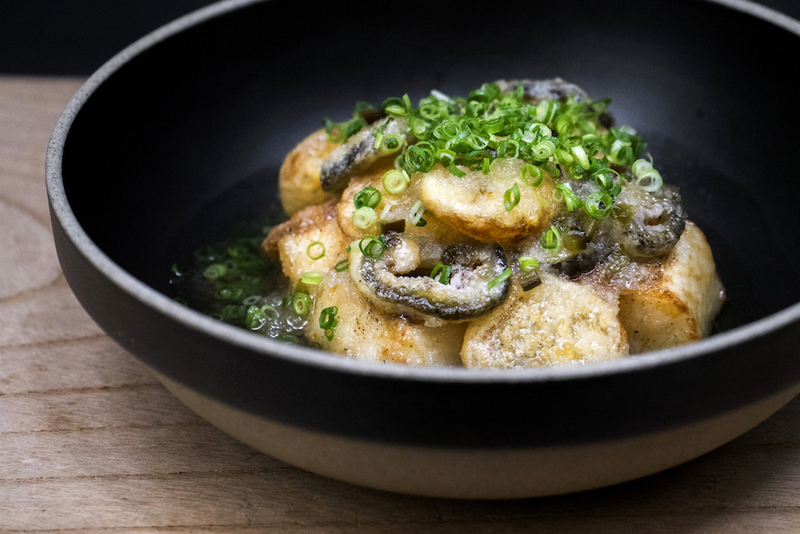 Check out some of our favorite new menu items below! This spring delicacy has a short season of only 2 months. 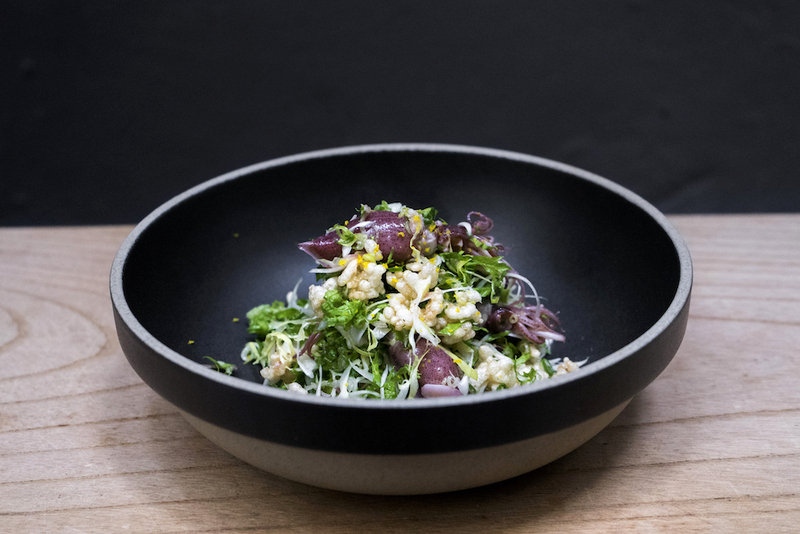 For this dish, the squid is paired with another spring ingredient Urui, which is a crisp mountain vegetable (sansai) with flowers, leaves, and stems that are all edible. Nanban Zuke is one of the first foreign food influences brought to Japan by the Portuguese. It directly translates as a barbarian marinade, also known as escabeche. We use pickled kumquats and jalapeño to add sweet, sour, and spicy notes. Using hand chopped Kagoshima beef, the Monaka Burger is our version of a slider. 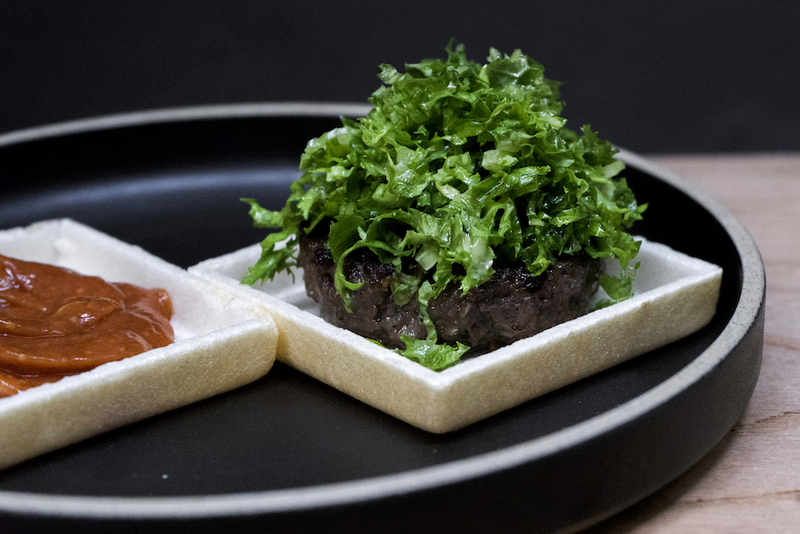 Accompanied by wasabi greens, shiso, Karashi mustard, and tomato miso, the “bun” is two crisp wafers made from rice mochi.